Home » Promotions • Uni Updates » Is Gearbox On Their Way To Making Borderlands 3 Official? Is Gearbox On Their Way To Making Borderlands 3 Official? Borderlands 3: Gearbox Software's upcoming third entry in their acclaimed Borderlands series is turning out to be pretty frustrating. No, we're not really talking about the game itself, about which very little is actually known, but about how it manages to evade our expectations at an announcement each and every time. It was announced way back in 2015 that the studio was working on a new, huge Borderlands game. But since then, official word about the upcoming instalment has been sporadic. And most frustrating of all is the fact that we still don't have a formal announcement to go by. But has that stopped all the rumours from cropping up? Absolutely not. The newest fiery addition to this fire has been Gearbox's latest announcement. Gearbox chief Randy Pitchford has recently announced via his Twitter account some interesting new ventures that the studio is currently working on, and one of them pertains to an unnamed new title that they "hope to announce in 2017". Now from all the bits and pieces we have heard in the past, Gearbox will supposedly devote their present time to Borderlands 3, or whatever they decide to call the new Borderlands game. So does that mean that this "great new video game" that Pitchford wishes to announce in 2017 is none other than Borderlands 3 itself? It is possible, for Gearbox officials said in 2016 that Borderlands 3 will be the next game to be released by the studio after Battleborn, which was released back in May 2016. We even thought we would be getting an announcement sometime before the year was up, and Pitchford himself appeared to be suggesting something along those lines at The Game Awards in December. But all that we got was an announcement for the remastered edition of Bulletstorm. And this is not the only time Borderlands 3 has evaded us. This leads us to the scenario at present. 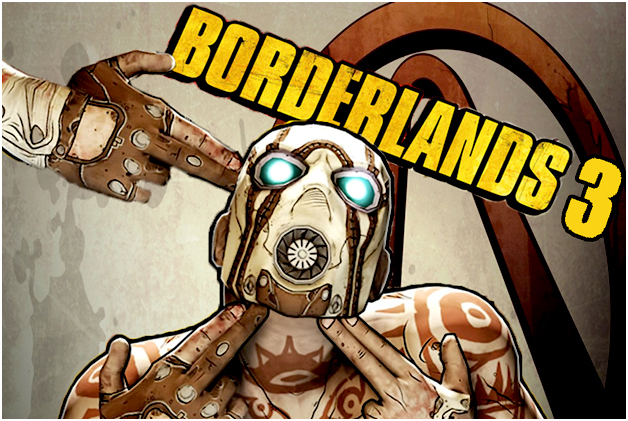 If we are to go by whatever we have heard from Gearbox so far, the new game that Pitchford could declare in 2017 could well be Borderlands 3. And the time they have taken to actually announce it makes sense as we have been told it will be massive. But that doesn't mean that the game is not happening, as rumours from certain quarters seem to suggest. Also, Pitchford's tweet says that a new game will be announced, yet revealed nothing about their release plans for this title. A game announced in 2017 could be set for release sometime in 2018 or even 2019, which is when we think Borderlands 3 will hit platforms. But still, we would advise you to take these speculations with a pinch of salt, as game developers are often known to change their plans on the basis of a host of factors. Whenever Borderlands 3 comes out, however, expect to see a whole lot of cool new upgrades. The game will most likely be set on Pandora, the planet that has served as the setting for the previous games, but new playable characters and new enemies are on the list of possibilities.